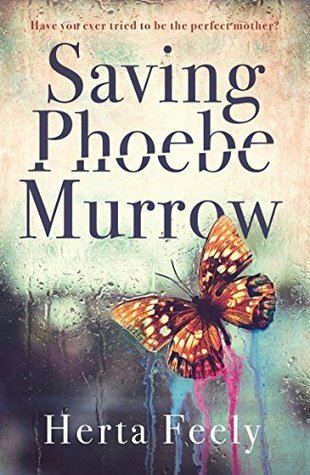 Technology may be a wonderful thing, but Saving Phoebe Murrow is a novel that explores the devastating consequences of what can happen when technology is used in the wrong way. Phoebe is a teenage girl struggling through these years. She and her mother aren't really seeing eye to eye on things, and the friends she is choosing to spend time with wouldn't meet her parents' approval. Isabel, Phoebe's mother, is doing her best to have a career and be a good mother. She worries about Phoebe, who has used self-harm as a way of coping with stress and bullying from peers. Phoebe has seen a counselor, and appears better, yet as this story unfolds, it is impossible not to recognize the poor decisions, and unhealthy relationships that she continually finds. Feely's book does a good job of exploring teen relationships today as they are confronted with bullying via technology that can find them not only at school but anywhere on social media. This is an important story and Feely's book is full of talking points and ideas to explore. I think high schoolers could also benefit from this book which explores issues that are so current.